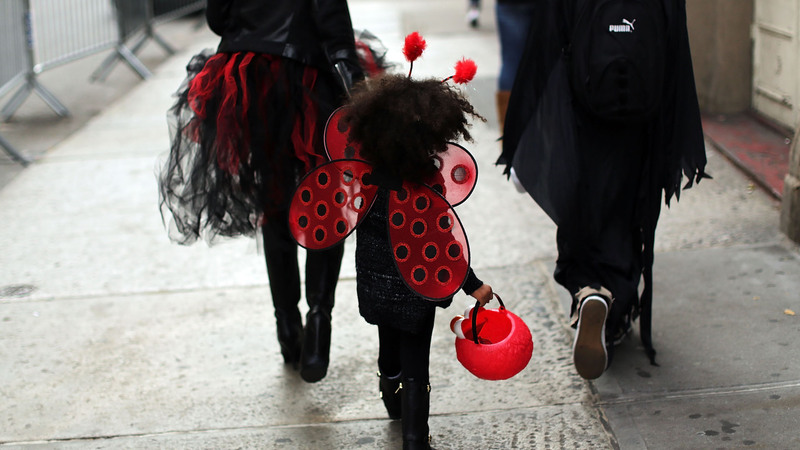 Halloween is all about the cute kids in the creepy costumes — and celeb kid costumes often take the cake. Those wee ones' parents have the creativity and the money to make (or buy) a truly epic costume. But 2018 is a year full of surprises (good and bad), and this year's best costumes ran the gamut — from über-famous celeb kids to regular normals who just plain won at Halloween (and, let's be honest, at life). Here are our favorite kids costumes from this Halloween season. Neil Patrick Harris, husband David Burtka and their children — Harper Grace and Gideon Scott — are known for their elaborate family costumes, and this year was no different. The Harris-Burtka clan's outfits were spooktacular. Who doesn't love Legos? The colorful blocks have been a childhood staple for more than 60 years. And this year, Justin Timberlake, wife Jessica Biel and son Silas took their love of Legos to the next level when they dressed as Lego Batman, Robin and Harley Quinn. Young Parker Curry — whose photo went viral after a photographer snapped a shot of her looking at Michelle Obama's official portrait this March — dressed as the first lady, and we may actually now have hope for the future of U.S. politics. Maybe. Ciara and her family became Wakandans this Halloween. In a cute play on her name, Kylie Jenner dressed as a cloud while her daughter, Stormi, was dressed as lightning. With a cassette player strapped to her hip and JanSport slung over her shoulder, Busy Philipps' daughter truly was realistic. Hilary Duff's daughter is too cute. 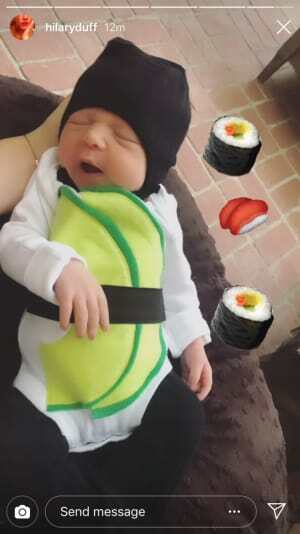 Just try not to snack on this sushi roll. Freddie Prinze Jr. and daughter Charlotte Grace very creepily embodied one of the most infamous cartoon duos: the Joker and Harley Quinn.